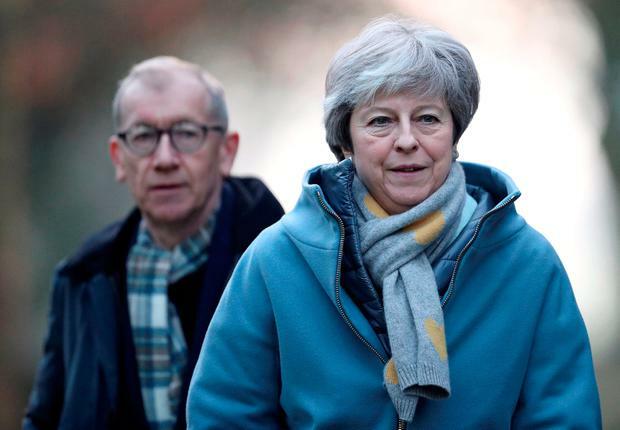 British Prime Minister Theresa May is considering offering to amend the Good Friday Agreement in a desperate attempt to avoid a no-deal Brexit. She has effectively abandoned attempts to negotiate a cross-party deal to solve the Brexit deadlock in Westminster. Mrs May will today update Parliament on her attempts to draw up a so-called “Plan B” for Brexit following cross-party talks in Westminster – and discussions with other EU leaders. In a phone call with her cabinet, Mrs May said her focus was now on winning over Conservative MPs and the DUP by rewording or dropping the controversial backstop to avoid a hard Border on the island of Ireland. One of the proposals under consideration is rewriting the 1998 Good Friday Agreement to assure Ireland that the UK is committed to no hard Border after the UK leaves the EU in March. Ministers believe that adding text into the agreement would serve as a way of avoiding having to commit the UK to the backstop. However, the plan is highly controversial and would require the consent of all the parties in Northern Ireland as well as the Irish Government. Senior sources last night said it was a “non-starter” and that the fact it was even being considered underlined the political crisis Mrs May now faces. After last night’s conference call with her cabinet, one minister said the outcome was “essentially one more heave on the backstop”. There was a “consensus” that the focus on trying to win round Labour MPs – which had proved disastrous in the last vote on Mrs May’s deal – risked further alienating Tory MPs and making Brexit even more difficult to get through the Commons. Some said Mrs May made clear she had ruled out a customs union. She is said to have told the cabinet her plan was to do “something” on the backstop. Asked whether it was something specific or just “anything”, she is said to have told them “the latter”. It is understood her Good Friday plan would involve the UK and Ireland agreeing a separate set of principles, or adding text to “support or reference” the 1998 peace deal, setting out how both sides would guarantee an open Border after Brexit. One source said this form of high-level agreement would be “a way to reinforce trust with the Irish to give them something more tangible so we can stick to our commitments”. But while Mrs May is trying to drop the backstop, the UK Labour Party has conceded it will be required in any Brexit deal. In comments that are being interpreted as significant by officials in Dublin, the party’s Brexit spokesman Keir Starmer indicated his party is open-minded on the backstop. With Mrs May’s Conservative Party deeply divided, any moves made by Labour this week could play a major role in deciding what direction Brexit travels next. “At this stage any deal probably does require a backstop and we’ve got to recognise that,” Mr Starmer told the BBC.